Why Choose MS SQL Server 2008 over SQL Server 2005? Recently, i came across a discussion forum where many users and webmasters are discussing on the selection of MS SQL Server 2008 and MS SQL Server 2005. The common question arise is which database to choose to use with the ASP.NET application? Since more and more web hosting company are now integrate this latest version of MS SQL server 2008 database to the hosting plan, it is recommended that we choose MS SQL server 2008 as our application database. Since many improvements and features has been upgraded from the date of release. Let us preview some of the improvements that Microsoft bring to us on SQL Server 2008. 1 – SQL Server 2008 will also include support for structured and semi-structured data, including digital media formats for pictures, audio, video and other multimedia data. 2 – SQL Server 2008 can be a data storage backend for different varieties of data: XML, email, time/calendar, file, document, spatial, etc as well as perform search, query, analysis, sharing, and synchronization across all data types. 3 – Better support for unstructured and semi-structured data is provided using the new FILESTREAM data type, which can be used to reference any file stored on the file system. 4 – Backing up and restoring the database backs up or restores the referenced files as well. SQL Server 2008 also natively supports hierarchical data, and includes T-SQL constructs to directly deal with them, without using recursive queries. 5 – SQL Server includes better compression features, which also helps in improving scalability. 6 – SQL Server Reporting Services will gain charting capabilities from the integration of the data visualization. 7 – The version of SQL Server Management Studio included with SQL Server 2008 supports IntelliSense for SQL queries against a SQL Server 2008 Database Engine. If you are looking for a SQL Server 2008 hosting compatible hosting plan, SeekDotNet.com, one of the leading ASP.NET hosting provider, has integrated and fully tested their web server with the latest Windows 2008 hosting with MS SQL Server 2008. However, clients still can request to host their website on Windows 2003 hosting platform with MS SQL server 2005 database as well. You may start a live chat session with SeekDotNet.com support team at http://www.seekdotnet.com/contactus.aspx for more information on the suitable hosting plan for your web application today! How to Migrate From IIS 6 to IIS 7? 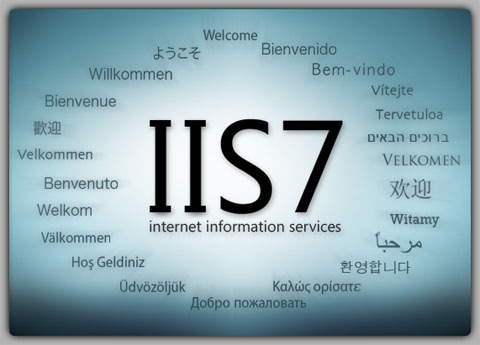 Why Need to Migrate to IIS 7? Here are some of the main reason why need to migrate our current web application from IIS 6 to IIS 7. 1) IIS7 is much more flexible and customizable than before. 2) We save loads of time by automating more tasks with the interface. 3) You can manage whole Web farms from one place. 4) IIS7 is faster and more efficient than any other version of IIS. 2. Review the output of the dependencies and look for any script maps or installed components in use by the site. For example, if Windows Authentication is in use by the web site, you will see . 3. If your site is inheriting any script maps, these will not be listed in the dependencies and you should also review the script maps for your site manually. 1. Review the list of dependencies and install them on the destination server. Based on analyzing your dependencies, you would install those components and modules. You are now done migrating your site. To verify, test browsing to the web site on the destination server. Looking for IIS 7 compatible web hosting provider? Look no further! Check up SeekDotNet.com – one of the leading ASP.NET hosting provider with the hosting plan hosted at Windows server 2008 with latest ASP.NET 3.5 and IIS 7 technologies. Contact SeekDotNet.com at http://www.seekdotnet.com/contactus.aspx on how to obtain your 3 months free IIS 7 hosting plan now. .Net Framework 3.5 in ASP.NET 3.5 are integrate with a powerful ASP.NET Ajax functions. .NET 3.5 now includes built-in support for all ASP.NET AJAX 1.0 features. Users can now use Visual Studio 2008 to target both existing ASP.NET applications built with ASP.NET AJAX 1.0, as well as target the new version of ASP.NET AJAX built-into .NET 3.5. ASP.NET AJAX 1.0 built as a separate download so that users can install AJAX directly on ASP.NET 2.0. The good news is, with the latest .NET Framework 3.5, all of the ASP.NET AJAX has been build in with ASP.NET, users are not require to install the ASP.NET AJAX separately when testing or deploying the applications. Another good things is that when user create a new ASP.NET application or web applications with Visual Studio 2008 that uses the .NET 3.5 framework, Visual Studio 2008 will automatically add the AJAX registrations within the applications. Users who use Visual Studio 2008 to open an existing ASP.NET 2.0 application that uses ASP.NET AJAX 1.0, he / she able to choose to upgrade the application to use .NET 3.5 (and the version of ASP.NET AJAX included within it). Upgrading an ASP.NET AJAX 1.0 application to .NET 3.5 does not require any amendment of the application code, and will be able to complete within minutes. For more information about ASP.NET Ajax hosting, ASP.NET 3.5 hosting / .NET Framework 3.5 hosting, please log on to http://www.seekdotnet.com or contact SeekDotNet.com at http://seekdotnet.com/contactus.aspx. Windows server 2008 fully integrating into IIS 7.0, the new FTP server makes it possible to host FTP and Web content from the same site by simply adding an FTP binding to an existing Web site. Hence, the FTP server now has virtual host name support, making it possible to host multiple FTP sites on the same IP address. One of the most significant features in the new FTP server is support for FTP over SSL. The new IIS 7 also supports other Internet improvements such as IPv6. IIS 7.0 has a brand-new administration interface and configuration store, and the new FTP service is tightly integrated with this new design. The new FTP server supports developer extensibility, making it possible for software vendors to write custom providers for FTP authentication. The brand new IIS 7 has a new option to display detailed error messages for local users, and the FTP server supports this by providing detailed error responses when logging on locally to an FTP server. FTP logging has been enhanced to include all FTP-related traffic, unique tracking for FTP sessions, FTP sub-statuses, additional detail fields, etc.